The Colby, Clarkson, and Emerson are Kissing Tree's newest models in San Marcos, TX. 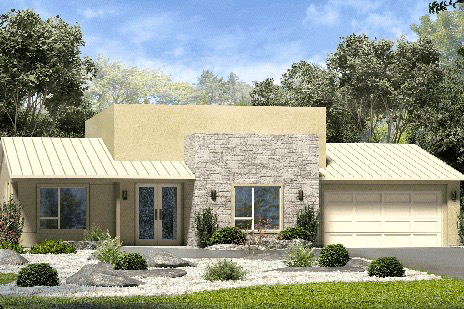 Los Angeles-based KTGY Architecture + Planning have unveiled three new model home designs for the 55+ community of Kissing Tree in San Marcos, Texas. The design firm created the Colby, Emerson, and Clarkson floor plans to appeal to the styles and tastes of active adult homebuyers, giving them more options on the interior and exterior of their home. The three new floor plans range in size from 1,850 to 2,957 square feet and are priced from the mid $200s to low $500s. Homebuyers can choose from five unique architectural styles, including Modern Farmhouse, Traditional, Santa Barbara, Texas Hill Country, and Contemporary. With each design displaying its own unique exterior styles, residents will have more options to create the home of their dreams. KTGY designed these homes to combine exterior features with universal styles that enhance indoor living and entertaining spaces, while allowing buyers to customize their home according to their lifestyle. Options like covered patios, a den or study, hobby room, home office, or guest casita are some examples of how homeowners can personalize these designs into their own dream home. Other enhanced features from KTGY’s floor plans include the placement of certain rooms throughout the home. Instead of the laundry room being located next to the garage’s entryway, it has been conveniently placed next to the master suite closet. This allows the homeowner to have easy access to the laundry room while minimizing the task of carrying heavy loads of laundry across the home. Kissing Tree’s developer, Brookfield Residential Properties, welcomed KTGY Architecture + Planning with open arms and is excited to bring these new and unique designs to the community for active adult homebuyers to choose from. Both the developer and design firm collaborated to bring these thoughtfully designed floor plans for the 55+ market to Kissing Tree in San Marcos, Texas.